SITKA Gear Tool Box and Tool Bucket are designed for the Whitetail Deer Hunter. Sitka Gear is famous for top-shelf quality gear that offers lasting performance to hunters of all disciplines. Backpacks can be the most vital piece of support gear on many hunts. 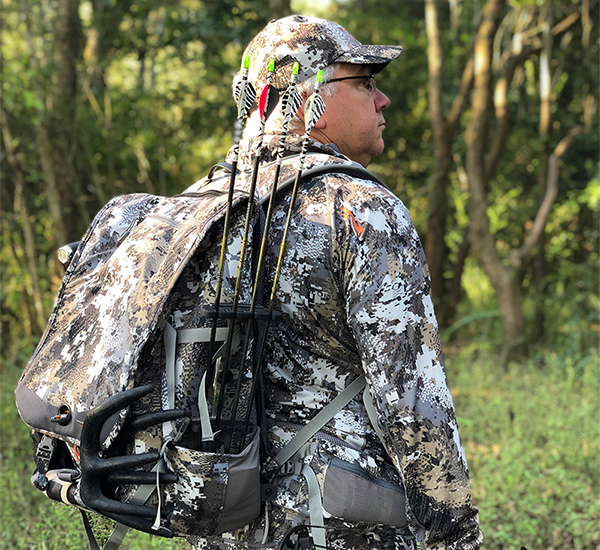 All packs are not designed the same, and if you have ever had the opportunity to hunt varying styles on different terrain, you know this all too well. Yet, one pack will rarely be sufficient for all disciplines of hunting throughout varying seasons. 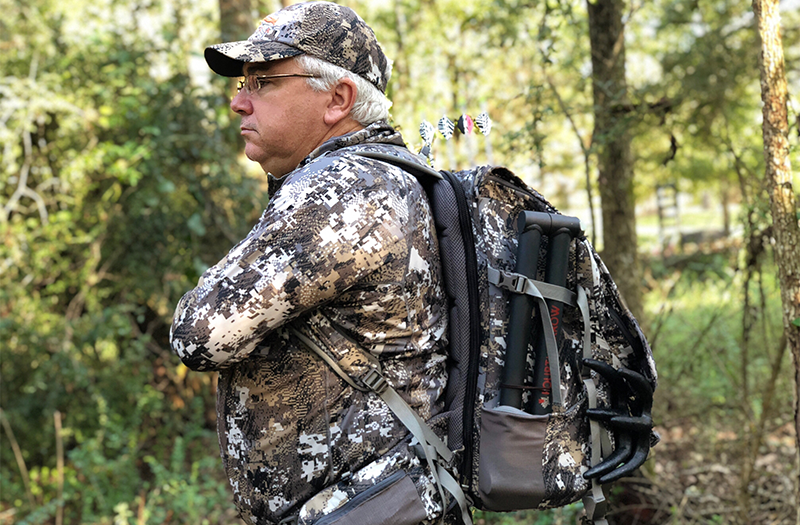 Being primarily a tree stand hunter for whitetail and wild hog, I require a daypack that was ideal for all-day sits during the rut or all-night sits, different features than the typical backpacks I was using. 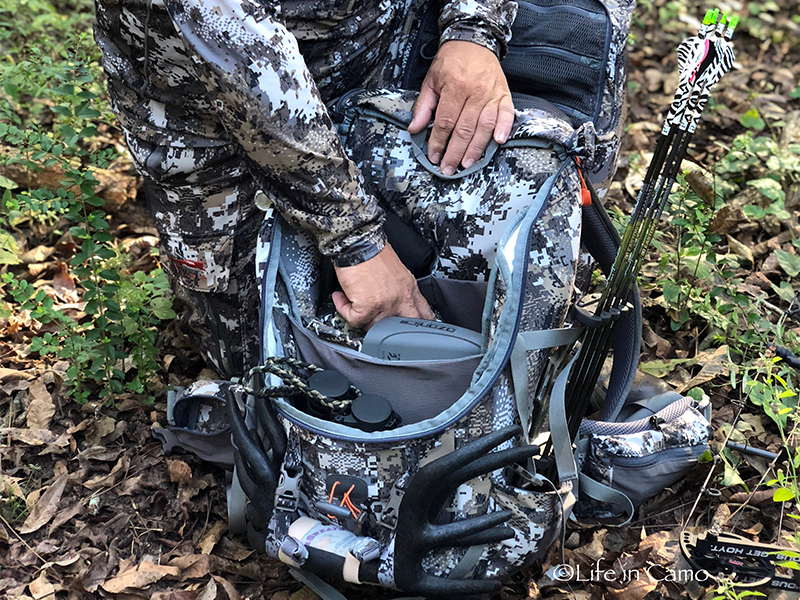 Sitka Gear now offers hunters two great daypack options specifically with tree stand hunting as the main focus – the Sitka Gear Tool Box and Sitka Gear Tool Bucket. The Sitka Gear Tool Box and Tool Bucket both have similar features including a Whitetail Elevated II exterior and coordinating gray lining and trim. The Sitka Gear Tool Box offers an 1800 cubic inch capacity, and the Sitka Gear Tool Bucket provides 1,900 cubic inches of storage with an added tree stand carrying system. 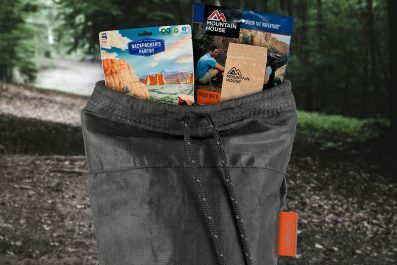 Both packs feature an easy access exterior zipper pocket with a secured key ring holder, three interior zippered mesh pockets on the inside of the flap, a tree-step hanging ring, two roomy zippered waistband pockets, and a heavy duty dual zippered flap with an adjustable toggle closure. The Tool Box weighs in at 2.7 pounds and the Tool Bucket, with the additional tree stand carrying system components, weighs in a 5.15 pounds. The interior offers a huge unobstructed area for larger/bulkier items, along with a separate smaller lower profile area for smaller items. There are four interior mesh top-access pockets on the side and back walls for storage of items. The exterior features two open-top expandable pockets on each side with straps of varying height to secure a monopod/bipod/tripod or similar items. 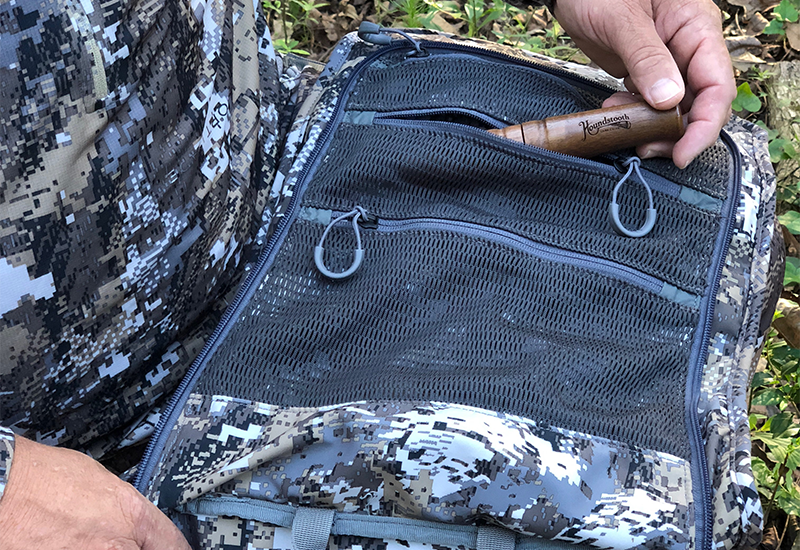 There are dual adjustable straps on the front lower exterior of each pack for carrying additional items such as rolled-up layers or rattling antlers. 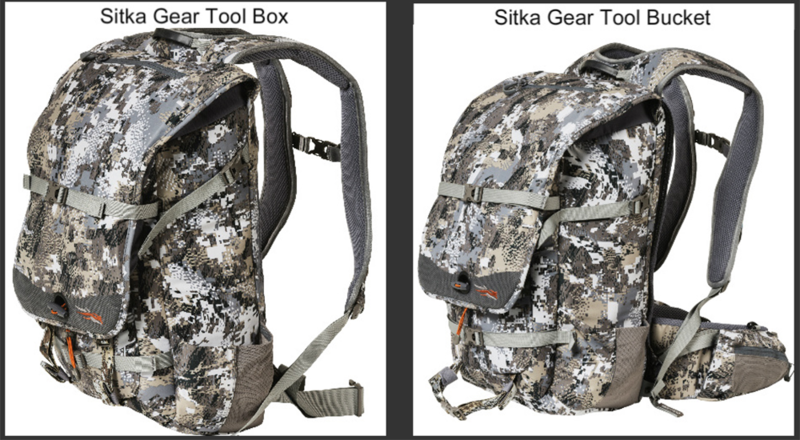 Basically, the only difference between the Sitka Gear Tool Box and the Tool Bucket is that the Tool Box is smaller than the Tool Bucket and does not offer the tree stand carrying system. The Tool Box is ideal as a tree stand hunter’s day pack; whereas, the Tool Bucket offers a solution for hunters that utilize climbing or lock-on stands. The Sitka Gear Tool Bucket offers an ingenious tree stand carrying system for the hunter who frequently uses climbing or lock-on stands. It is the perfect daypack for the public land hunter with the ideal solution for comfortable, secure transport of the stand and backpack. The mesh backing is designed to allow for air flow to minimize scent-causing perspiration to build-up on the material. The padded straps allow for comfort when hauling gear, and the waist belt is contoured to fit the hips comfortably with easy to adjust strap and buckle. The tree stand carrying system is accessed by unzipping the internal frame from the daypack portion. A number of straps allow for the frame to be attached to the stand so that it utilizes the backpack straps as a carrier of the stand. This configuration allows for the weight of the stand to be held close to the body for comfort and easy carrying. The backpack portion also has straps to attach to the exterior of the stand so that the hunter has the gear they need for the days hunt. As a tree stand hunter, I can appreciate these new packs for several reasons. 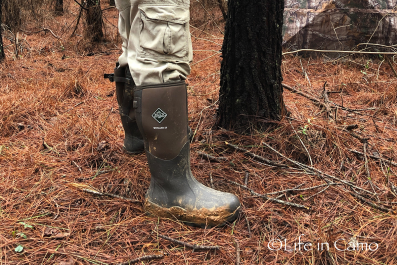 When I walk to the stand for an all-day hunt during the rut, I am usually dressed down to my first layer or two, depending on the temperatures, so that I don’t sweat walking in. Of course I freeze later when my body temperatures lower and I am immobile in the stand. With other backpacks I have often draped my outer layer over the outside of my pack, which is less than ideal. If you remove layers in the stand, some packs don’t allow you to stow those easily, so I end up hanging them off hooks or sitting on them. Having a larger interior with fewer dividers and zippered compartments allows me to stow a heavier outer layer along with my HSS Safety Harness on the walk in/out. Each pack offers several sets of exterior straps that are adjustable and configurable to secure extra gear as well. The handy hanging ring allows you to hang the backpack inconspicuously in line with the tree trunk with the front flap open. The large U-shaped front access allows easy access to calls, rattling antlers, and binoculars. The pockets are configured to prevent items from falling to the ground. The three smaller zippered interior pockets are mesh so you can easily see what is in them. They have enough depth to them that placing or retrieving items is easy with one hand. 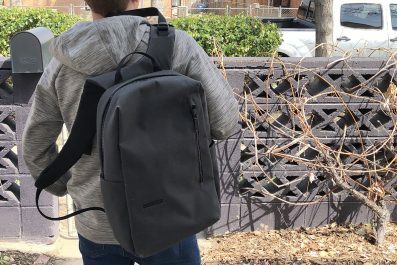 The interior side and back wall pockets keep things organized without having to fumble around in the bottom of the backpack. Typically, tree stand hunters do not use hydration bladders because less stalking equals less exertion. In this pack, Sitka Gear has replaced a hydration bladder pocket for water bottle storage, as well as snacks. These packs do not include a frame for hauling game or larger gear, and so while they are streamlined, you should make other plans for packing out game. 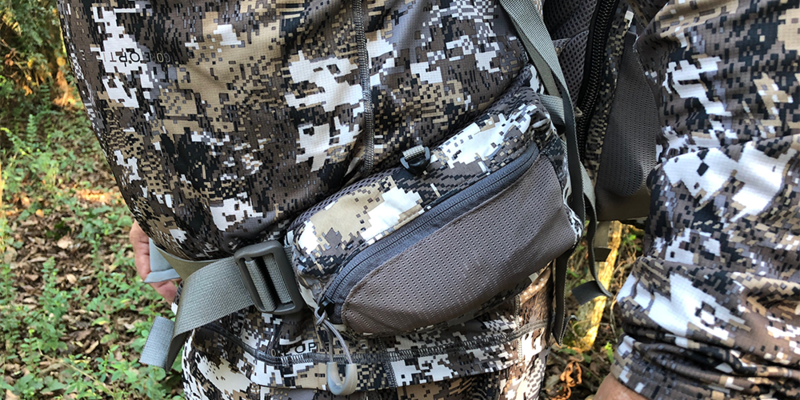 In the same vein, these packs do not feature load lifter straps because tree stand hunters will not be wearing their backpacks all-day in stalk hunt scenarios. Even without the load lifters straps, the waist belt allows for adequate distribution of the packs’ weight. I carried the Sitka Gear Tool Bucket on my midwestern hunts and found that I had plenty of room to store my mid-layers/rain gear, Ozonics unit and batteries, a standard pair of binoculars, a tree arm, a compact video camera, a tree umbrella, a full quiver, snacks, two water bottles, numerous calls, and a set of rattling antlers. I kept my gear in the pack and found it to be conveniently accessible with the flap open and hung from a tree hook. I used the Tool Bucket in the stand two days in the rain and even got a good amount of deer blood on the exterior that easily washed off with a damp cloth and a small amount of scent free shampoo. Sitka Gear definitely brought everything to the design board when engineering the Sitka Gear Tool Box and Sitka Gear Tool Bucket. 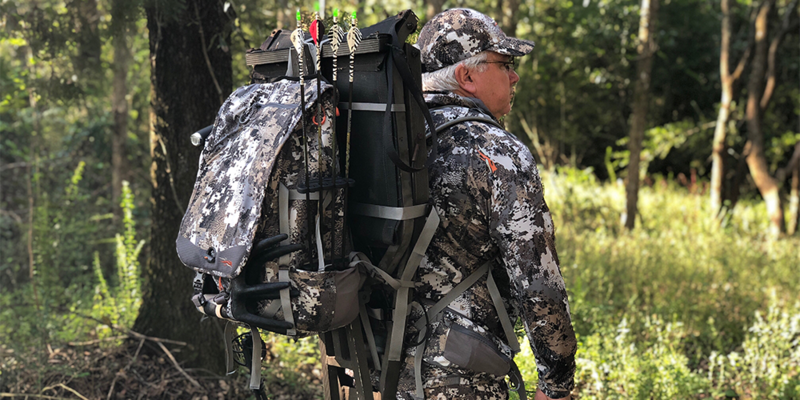 The results were an innovative backpack that will not only serve tree stand hunters well, it is the perfect solution for the public land hunter in pursuit of their next trophy. Endorsement Disclosure: Per the guidelines of the Federal Trade Commission, the products reviewed or mentioned within this writing is an endorsement and the writer may or may not have been compensated monetarily or by “in- kind” payment to review the product. Logos and photos are the sole property of the rightful owner and used within this writing exclusively for the promotion of products herein as required by the product’s manufacturer or in efforts of product exposure for the manufacturers and/or their agents and representatives.